To Blog is “To Share”, “To Connect”, “To Create”, “To Inspire”. Bloggers are like free birds and they write out what they feel and enjoy. Creativity is the building stone of any blog. 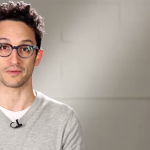 The stronger your creative skills are the better you can express yourself. Many other factors are responsible for a high ranking blog and content is one of the most important factor of them all. What else is needed to make a good blog? This question disturbs many bloggers who are new or who have been looking for some solutions for their blog. We came up with this Idea and now we ask questions directly from the Top bloggers who are Sharing their experiences and their ideas on a platform called Internet Interview. We will ask them questions that are troubling many bloggers and you can ask them your doubts and your queries too and they will help you in every way possible. So here we are with our first Big Interview as promised to many of our readers. Internet Interview:-There are many different types of people on Internet. Some are trying to bring a change through internet, some are using internet for wrong purpose, and some are using to learn while some are here on internet for making money. There is another category of people who are known as “Bloggers”. They share their experiences over internet through there blog and help others in avoiding the same mistake again. They give their solutions, ideas to their readers helping them over many situations and giving them valuable content to read and learn. Through our Column Internet Interview we will share their ideas, secrets, thoughts and views with you. We tried out best to ask questions related to many aspects of his Blogging life and we got some really great answers and secrets of his life. We thank him for sharing the knowledge and his secrets with us. Check out what he says about his success story, his blogging friends, who are his idols and what does he do to keep himself motivated. Check out all these answers and many more. For those who are new and have never came across the name desi-traveller we want to tell you that he is one of the best travel blogger in India and has been constantly working on his travel blog “desitraveler” showcasing many new places to visit and sharing his experiences with the online community. He has many accolades and has been the center of attraction for many other prominent travel bloggers. He is not only famous for his passion for travelling but also for his photography. Prasad who lives in National Capital Region heads Strategy at a voice research company, coming up with next generation products for global organizations and also and is a passionate Travel blogger. We came across his blog when we were compiling our Top Indian travel Blog list. His Blog is one of the noted travel blog in the blogging industry and brings you closer to the Ethnic Indian beauty. If you are a blogger and you have a blog then you can also be listed in our upcoming top bloggers list. 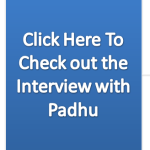 Quikrpost: Hi Prasad, It is our pleasure that you are finally with us on Interview and we are really excited and keen to know your answers to our interview questions. Prasad: Hello Anurag, I have been following you and quikrpost keenly and I am more than happy to be a part of this Interview. 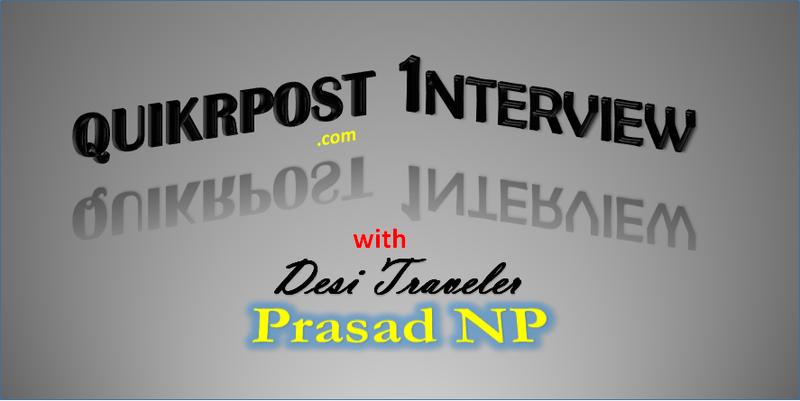 Quikrpost: without any more delay let’s start the interview Prasad. Quikrpost: Many of our readers want to know why you choose to start blogging and took a different route from being a corporate executive? Prasad: Actually they happened independently and being a blogger was not hindrance in being a corporate executive and vice versa. Now also I play both the roles but keep the two compartmentalized. I still work with blogging and help some of the companies I work with in their strategy building, marketing and online presence. I am currently actively involved in a Travel Photography company, a voice research company that will make learning language faster and fun and a project that is still at an idea stage but should help parents specially women. Besides this I volunteer for web marketing and blog of Great Hyderabad Adventure club the most active adventure club in India and also help in their nature wing. Quikrpost: Great Multitasking is something that is hard to find these days in humans. Quikrpost: We know a lot about your blog but not you. Please tell our readers something about yourself that no one knows till now. Prasad: At one point of time I wanted to be like Swami Vivekananda, become a Sadhu and travel the length and breadth of India, but then destiny had other plans for me, now I hope to be a farmer one day. Quikrpost: Quite a big change from being a blogger and in the digital market to being a farmer. Quikrpost: we saw that you do photography as well. Will you like to share any memorable experience related to photography while travelling? Prasad: One of the most memorable experience I had photographing was on Ghats of Banaras seeing people do rituals that their forefathers have done for centuries without any change. No wonder Varanasi is called the eternal city. Quikrpost: For how long have you been blogging and during that time what were the secret recipes that you were able to discover that helped you become successful? Prasad: Though I started blogging in 2009, (may be once in a few months types) but serious, consistent blogging started sometime in 2-2.5 years ago when I moved to WordPress and my own domain of desi Traveler. The most important lesson learned is to maintain one’s own style and perspective because people are not looking for generic information, for that they have Wikipedia. From my blog people want my experience that they can relate to. Most important thing for a blog is content. Content matters in terms of quality and presentation and more importantly useful content is still the king. The other important lesson learned is that your readers are very-very smart and they have a choice to visit millions of websites and blogs so you better give them a great reason to come back and visit again. One of the easiest ways to ensure that is to write from heart and your blog should reflect your true style. Quikrpost: We have never seen you on any pictures or photographs, any reason behind that? Prasad: No point in flaunting something that is not your strongest point. 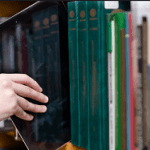 Quikrpost: What can our readers find on your blog? Which Types of travel blogs exactly? I should rather ask you that what your specialty in traveling are. Prasad: I am just your friendly neighborhood desi Traveler, traveling with my family, with friends, going on exploring my own cities where I have lived like Delhi, Hyderabad, Mumbai, Kolkata etc. visiting pilgrimage centers with elders in family and once in a while going on some small adventure trip. So nothing special anything that comes my way. I have done both backpacking and ultra-luxury and enjoyed both equally. Quikrpost: What are your interests other than travelling, photography and blogging? I know quite a tough question because all that you are interested in is already declared out of the question. Prasad: I do a little bit of volunteering in my personal time like for GHAC and also love growing plants specially cacti and succulents that do not require much water and instead of wilting when I am gone, they welcome me back home with a beautiful flower. Quikrpost: Since you write blog, what other blogs you Follow closely? Prasad: I regularly read Travel Tales from India by Mridula Dwivedi, Lemonicks by Nisha Jha , India tales by Anuradha Goyal, Painted Stork by Arun Bhat, all of them are Guru of Travel bloggers in India and have done tons of work in making travel blogging popular in India, I also regularly read My Yatra Diary by Arti and Devil On Wheels by Dheeraj Sharma, both very unique blogs with great fan following. Besides this in International blogs I keenly follow The Everywhereist written by Geraldine Deruiter from Seattle in USA for her totally unique style that is absolutely addictive to read. Quikrpost: what are your future Plans on your blog and in your life? Prasad: I will continue to write on my blog till I enjoy writing on it, every once in a while I write for magazines so hopefully that will continue. The next big project I am working on writing front is a couple of fiction books and on corporate launching another app/website that people will find useful. Prasad: At one point of time I use to travel to US almost every other month and my best friend in US referred to me as Desi Traveler, somehow the name strike a chord and desi Traveler was born. Quikrpost: if a couple wants to go for a Honeymoon, which destination would you advise in India? And why? Prasad: I think if they are looking for a single destination to see hills, beaches, luxury, heritage, culture and wildlife then Kerala should be on top of any Honeymooners list. If one is just looking for Hills then Himachal Pradesh and Sikkim in North East are both wonderful. Quikrpost: your photography skills are quite good. Please give our readers some tips and tricks to do professional photography. Prasad: Thanks for your kind words. Though I love photography and have been clicking since I was 9 years old, still for me photography is an acquired skill and I continuously try to learn and upgrade my knowledge for photography both in technical as well as in aesthetics. Again I would say try to take your own pictures, which tell a story. It is so common to see exactly same pictures of famous monuments, but then you see one picture that is taken from a different perspective and you go WOW! With digital camera it is so easy to experiment and one should not hesitate to try new angles, light conditions and composition, and should practice a lot. As practice makes a photographer better. Quikrpost: what type of traveling you liked the most? What I want to ask is whether you like travelling expeditions, adventurous travelling, travelling to devotional places, trekking travelling, or any other particular? Prasad: I just like normal day to day traveling to wonderful places irrespective of where they are. I am equally at home in a home stay like I am in a Five Star resort. But I try to make sure that I leave minimum environmental impact during my travels. So if I am hiking I make sure I bring back plastic bottles, chocolate wrappers etc. and don’t dump them in the forest. Similarly when staying in a luxury resort you can do simple things like switching off lights, AC etc. reusing the towels for your 2-3 days stay. Just because hotel staff is cleaning the towels is no reason to change them every day, remember at our home we use a towel for more than a day, at least I do. Quikrpost: Travelling is one thing that helps us meet new people and join new community. What is your favorite memorable experience with meeting new people? Prasad: Two experiences stand out in my mind, one was on a Darter trip to Spiti, and on our hike to Dhankar Lake I got tired due to thin air and was walking very slowly. One young Llama who was hiking with us offered to pick me up and carry me, but off course I did not allow him to do the same. So he walked the whole trail with me at slow pace motivating me. It was so kind of him to be so friendly when he could have just walked passes me. In another incident near Tal Chhapar Sanctuary in Rajasthan, we stopped by at a small hut in a small hamlet just a couple of huts and the guys their shared their food with us as we were tired. It is so amazing how simple folks in rural India are. Truly incredible India. Quikrpost: At times you might be finding yourself in situations where you have some duties to perform and responsibilities to handle but you can’t miss your travel opportunity. What decisions you take and what drives you to take such decisions? Prasad: For me life has always been a balance between my passion which is travel and writing and my responsibilities in home, work and society. So one needs to work consciously to maintain a balance between them. Quikrpost: Have you ever regretted for making such decision? Prasad: Well not so far, as there is not much benefit in crying over spilt milk, I move on quickly even if something goes wrong. Quikrpost: Are you vegetarian? If yes then have you ever faced problem while travelling to places where veg-food is tough to find? If no then what all types of non-veg food have you tasted yet. Prasad: Yes I am 100% vegetarian but now a day’s veg food is not that big of a problem. I use to eat Non veg food a long time ago but I stopped eating it due to spiritual and environmental reasons. Producing non vegetarian food requires a lot of grains, and other resources that are better consumed by humans. But it is a personal choice and I never impose my vegetarian choice on anybody. Normally even if nothing in veg available I simply order French fries or plain rice and sprinkle Bikaneri Bhujia that I carry with me and it tastes wonderful when you are hungry J and fruits are universally available. But in my experience even in countries like Thailand and Hong Kong where most of the food is non vegetarian people are used to getting a vegetarian customer and if you explain to them what you want ( or don’t want ) they help you in getting the same. Quikrpost: People often face problems while booking train tickets or making late reservations while travelling. Being a travel blogger, you might have to make some quick decisions on travelling and you might be finding yourself in position where you have no confirm tickets. What do you do at such times? Prasad: Yes it happens often, that your travel can be unplanned especially with friends. But if you have to travel you will find a way I have traveled in unreserved coach, showed up at airport and hoped that some passenger will not show up and I will get a ticket or simply in a few cases gone to places for which tickets were available. Quikrpost: Do you think India has big opportunities in travel industry and if yes then what are the factors you encountered or observed which are actually becoming bottleneck in the making of India as a “Hub of Travel Industry”. Prasad: Travel is one of the biggest employment generators and can boost Indian economy just like IT and BPO industry has done. Best part about travel is that a lot of semi-skilled local people get good jobs close to their homes, halting migration to big cities. We need to work towards more ecofriendly travel, plus our government needs to provide basic amenities like clean Toilets at tourist places, safety of solo women travelers is a big concern in mind of a lot of visitors. Some of the initiatives like Visa on arrival for select nationalities are good and should boost inbound tourism. But we need to work on creating a unique ecosystem at tourist places offering not just sightseeing but food, cultural experiences, interaction with locals, easily availability of currency exchange, a friendly tourist police, and cheaper airfare etc. 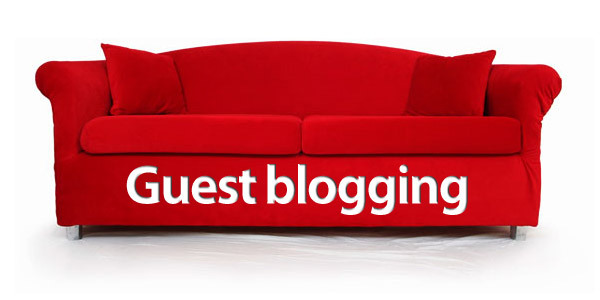 Quikrpost: One last question form our side: – What other blogs do you pen down along with your travel blogs? 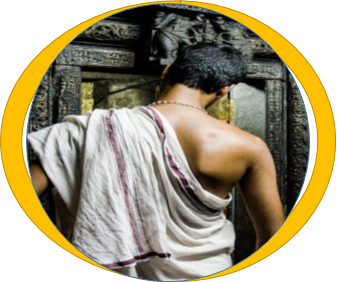 Prasad: As of now I contribute to, Parentous, GHAC Blog which I curate, Darter Photography Blog, The Alternative, Ghumakkar and My Faking news. Quikrpost: Any suggestion to our readers or anything you want to say or share with our readers. Prasad: Well I think travel is one of the greatest teachers and a lot of great inventions were made to make travel easy. So everybody should travel in whatever form you can. Our forefathers wanted us to travel that is why they invented the concept of Pilgrimage. I think the government should make travel easy and affordable as it generates a lot of local jobs like no other industry can. With this we are have approached to the end of our interview and Prasad is very kind and has promised to answer your questions and doubts to every extent possible. There is a comment section below and you are all free to fire questions either to Prasad or to me. 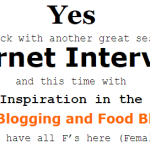 Whom do you want to see next on our Internet Interview section? Tell us here. What a wonderful interview it is! Not only Prasad is a traveler and photographer, he is a gentleman and a good human being as well. His sense of humor in desi style with #desihumor is a light hearted entertainment with deeper meaning. Thanks Prasad, for including my name in your favourite bloggers list.